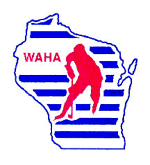 Complete the form below to send your question to your Wisconsin Ice Arena Management Association Webmaster(s). ©2019 Wisconsin Ice Arena Management Association / SportsEngine. All Rights Reserved.